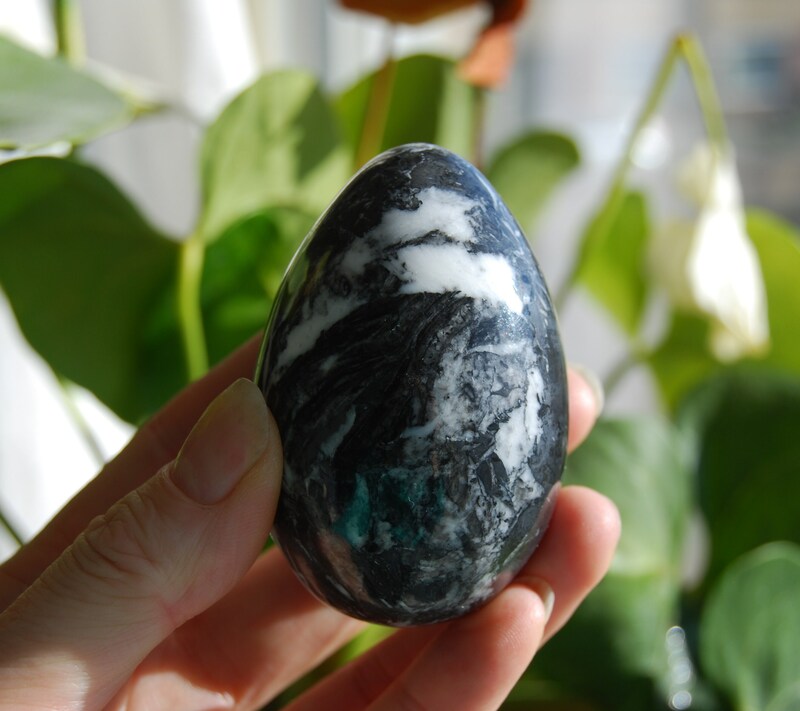 This is a lovely zebra marble egg. You will receive the stone that is in the pictures. 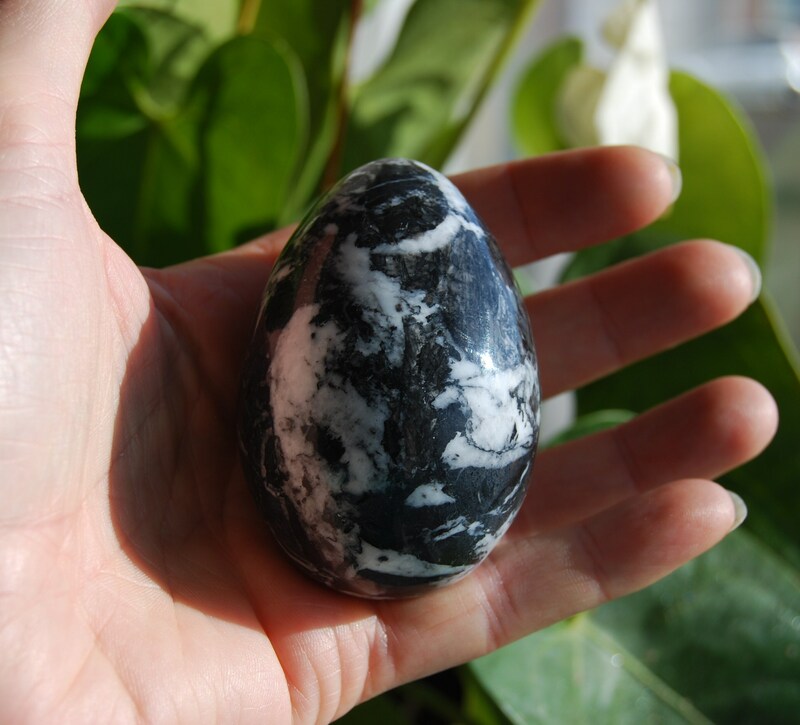 Zebra Marble stone is a nurturing and protective stone. It is a great stone to use in healing. 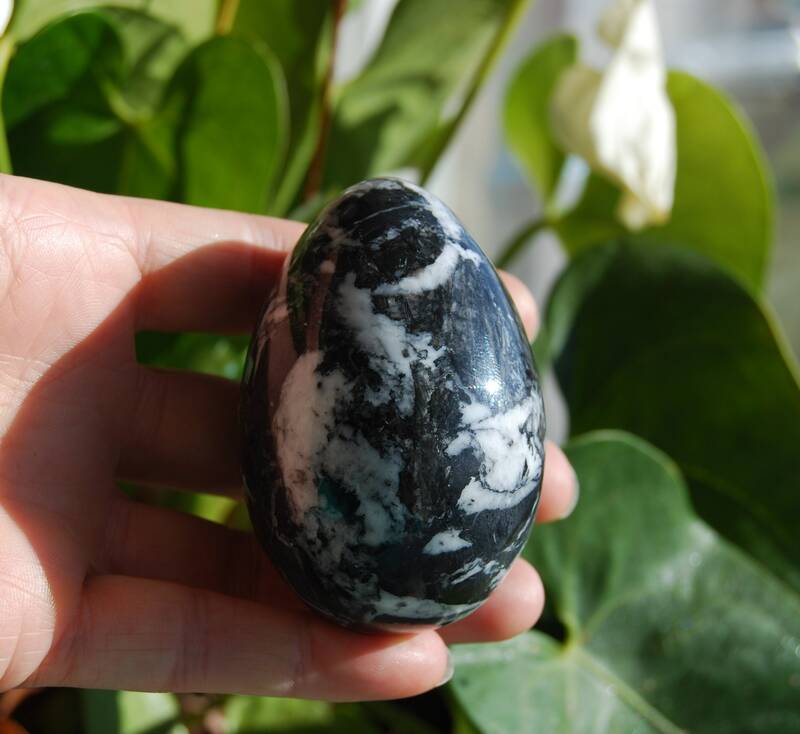 Zebra Stone Marble is used to help connect to Mother Earth and to unconditional Love. It helps one to see through illusions and to the heart of what we really desire. 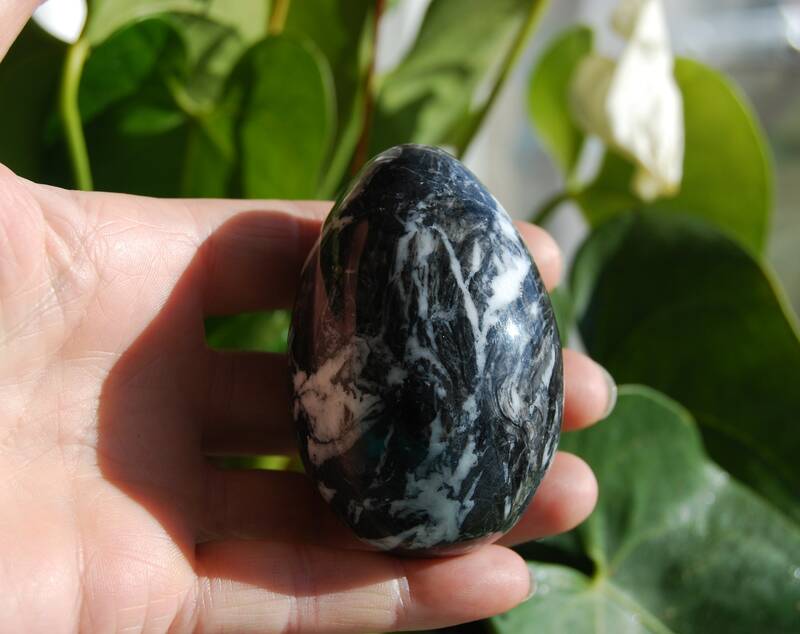 Zebra Marble can help one to learn the inner truth to your desires, helping to focus on what is wanted rather than what is not wanted. It's energies allow for greater control over thoughts, helping to keep a higher vibration available more often. By being mindful of one's thoughts, there is a better chance of manifestation of true desires. 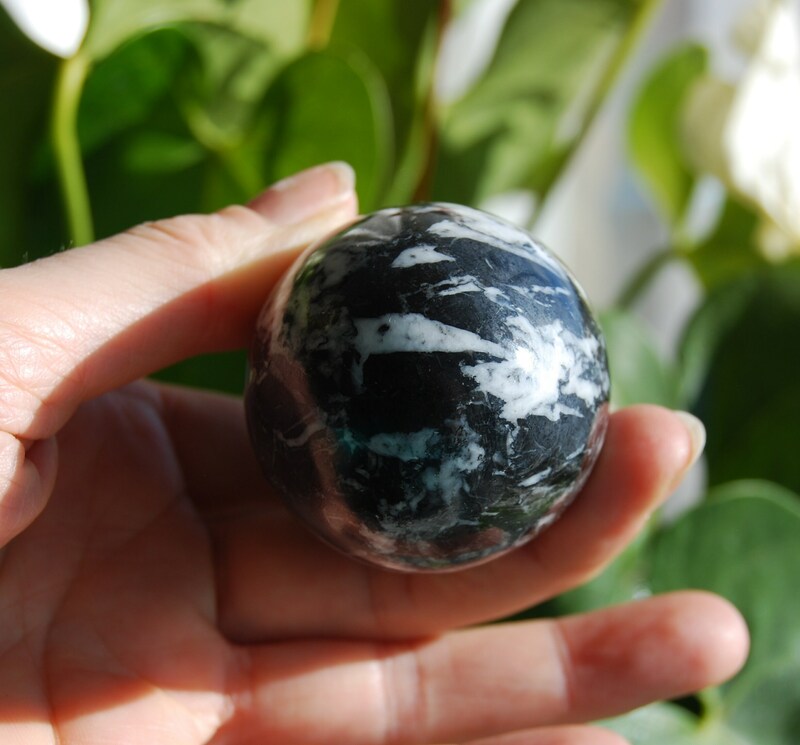 Zebra marble can be a very grounding, helping you learn patience and practicality when it is most needed. It is used for stamina and self-control. It aids in the actualization of desires. 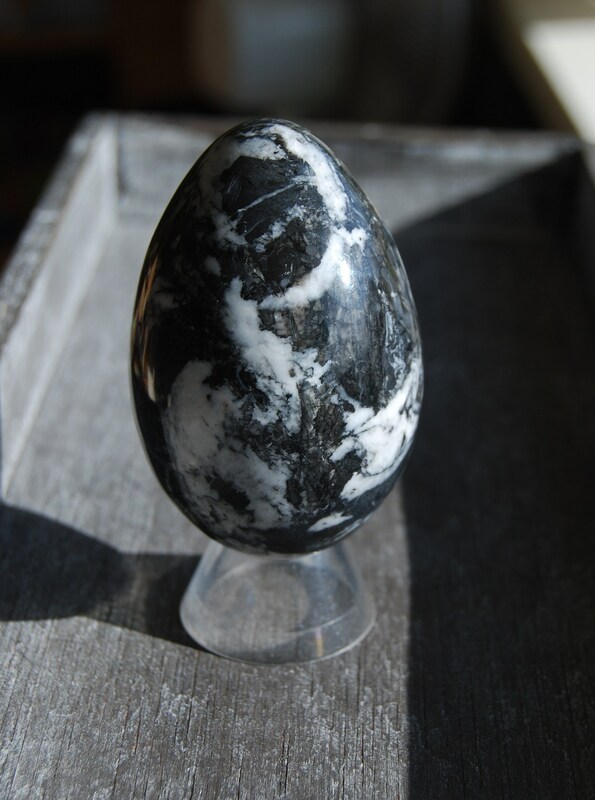 Zebra Marble can also aid you in finding clarity and focus, which can help you to achieve and go into deeper states of meditation. Put the stone under your pillow to enhance dream recall. In Crystal Healing it is used as an aid to stop bone loss and muscle spasms. It is also known as the White Tiger Stone. Marble is limestone that has changed over the years to form a recrystallized type of calcite. Associated with all chakras. Will be packaged carefully. 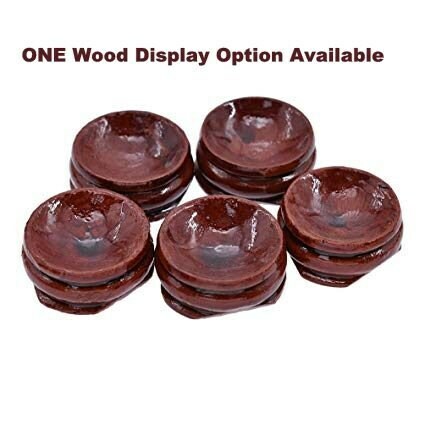 Wooden standard option will be available for buying when ordering.